Several summers ago this amateur oenophile was on a verifiable Riesling kick. The warm temperatures and the opportunity to unwind Friday nights on the patio seemed to propel me toward Riesling–at that time it was Twisted River. I’m no longer sure if it was the amazing environment or the wine that was the real draw, as I’ve since tried multiple Rieslings and many seem far too sugary for my palate. Earlier this week, however, I packed up many of the reds and some Chardonnays and shipped them south toward our new digs. The 2007 BV Riesling did stay close at hand and tipped into our remaining glassware on several nights this week. That in and of itself is interesting–in part for its rich, apple-pear scent and in part for its apple juice coloring. It’s much deeper than a Grigio or Chardonnay, both of which rate much higher in our house in overall taste. The BV is so sweet. It could accompany a dessert, it could accompany a dry cheese, but it really needs to be offset with something to take the edge off the sugar. Granted, we did finish the bottle (though it took three days)…but I really regretted failing to keep a Bordeaux or a Pinot Noir on hand to get through the last of the packing, particularly with the evening temperatures cooling. The BV 2007 Riesling will have its fans, but I’m unfortunately not one. At this point, I’m more interested in learning if it’s the grape itself that I’ve moved past. We’ll see. 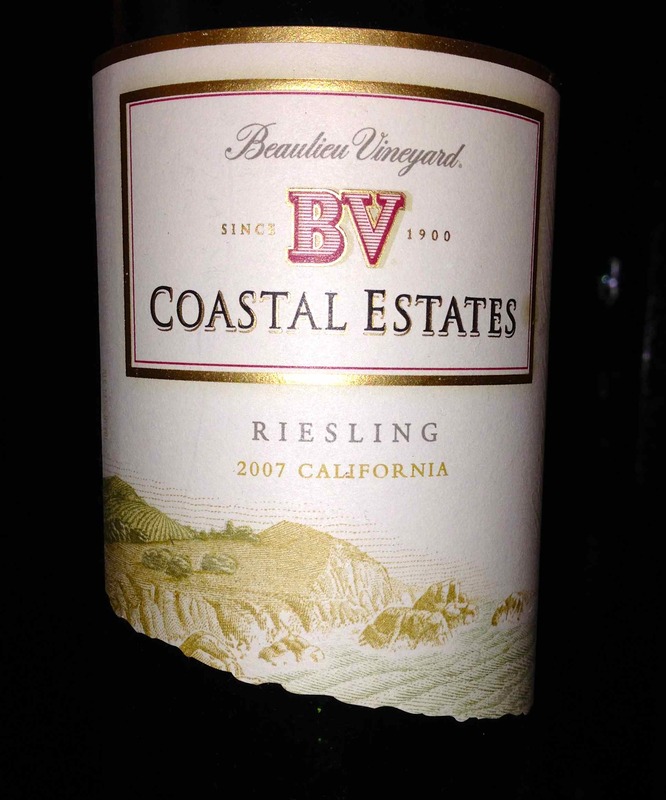 This entry was posted in Riesling and tagged california winemaking, Riesling, USA.